More than 2.3 million Venezuelans have fled their country, desperate to escape economic and political turmoil. The UN says the mass exodus from Venezuela could soon be on par with the Syrian refugee crisis. 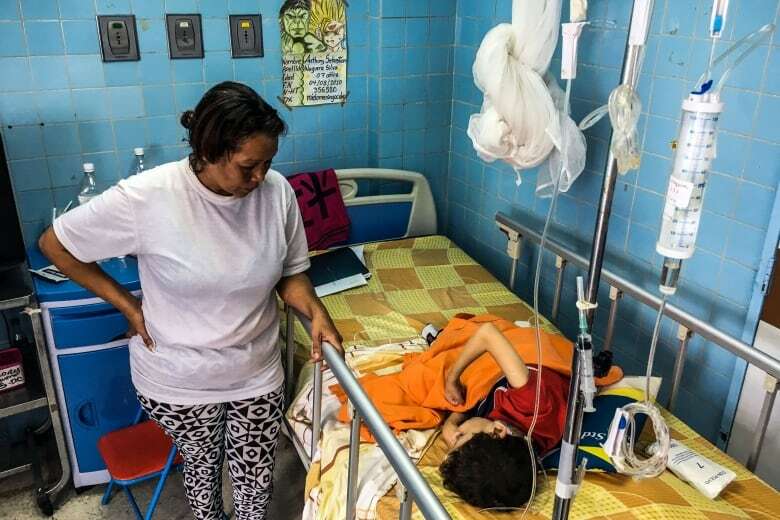 The UN's International Organization for Migration estimates that 2.3 million Venezuelans have fled their country, desperate to escape economic and political turmoil, hunger and violence. Venezuela was once one of the richest countries in Latin America, taking in thousands of refugees in the latter half of the 20th century. But there was economic inequality. The country was run by the wealthy, and the poor suffered. Hugo Chavez was elected in 1998 on a pledge to change that. At the time, Venezuela's greatest commodity, oil, was selling for about $10 US a barrel. By the time he died in 2013, it was $100 US. The government provided better housing, healthcare, and education for the working classes — but it also fixed prices for some food products and other goods and set-up a complex system of currency controls. Chavez's socialism left the government in deep debt. And in 2014, the price of oil started to drop, eventually going as low as $26 US a barrel. Today, it hovers around $70 US, but the uptick in oil prices hasn't been enough to save the country from further economic turmoil. 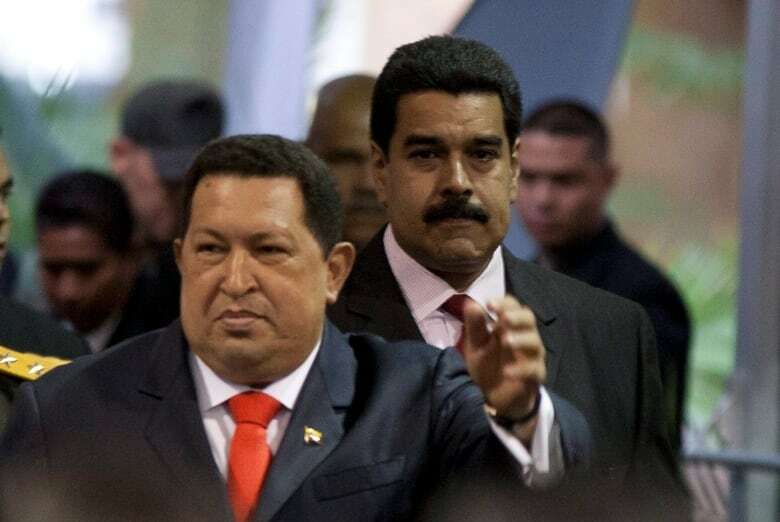 Chavez's hand-picked successor, Nicolas Maduro, has been accused of mismanaging the oil sector. Oil production has fallen and the country has been unable to pay its debts. The economy has gone into free fall, leaving the government unable to pay for imports like food and medicine. Hospitals are overcrowded and short on supplies. Supermarket shelves are almost bare. Domestic farm production has dropped and the government can't afford to import enough food for its people. Because of complex currency and price controls, the available food is often sold on the black market at prices average people cannot afford. In some cases, spoiled meat is being sold to consumers. 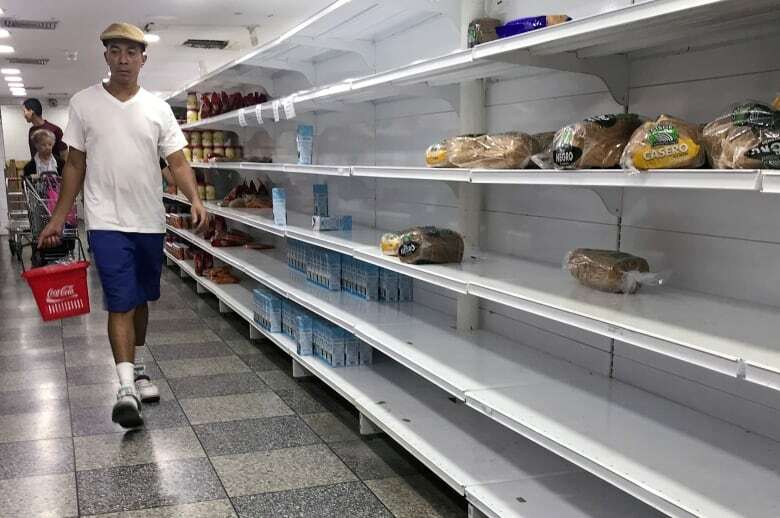 But some Venezuelans buy it because it is all they can afford. 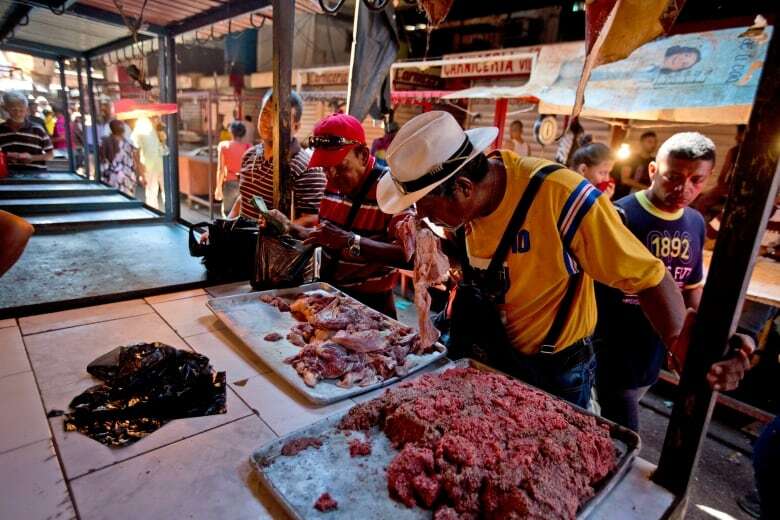 In an attempt to deal with shortages and other economic problems, the government has continued to print money, causing hyperinflation which destroys purchasing power for many Venezuelans. According to a recent study by the opposition-controlled National Assembly, the annual inflation rate reached 83,000 per cent in July. The International Monetary Fund says inflation could hit one million per cent by the end of the year. 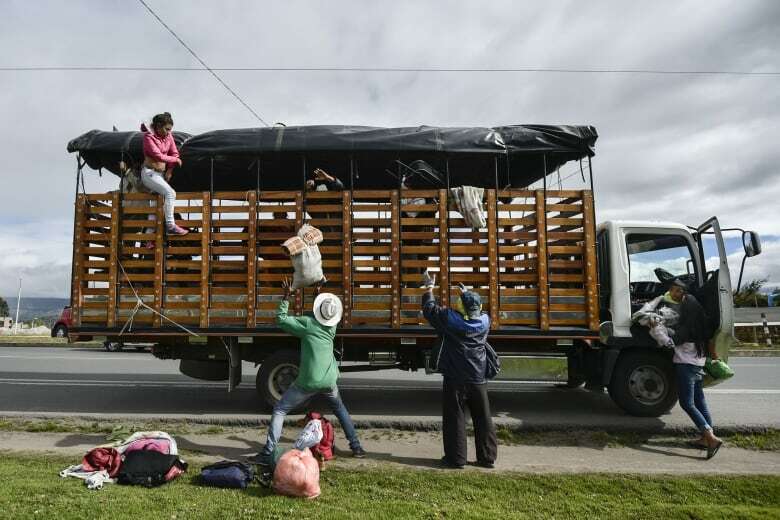 Neighbouring countries, Colombia and Brazil, have seen thousands of Venezuelans pour over their borders seeking respite from the conditions at home. 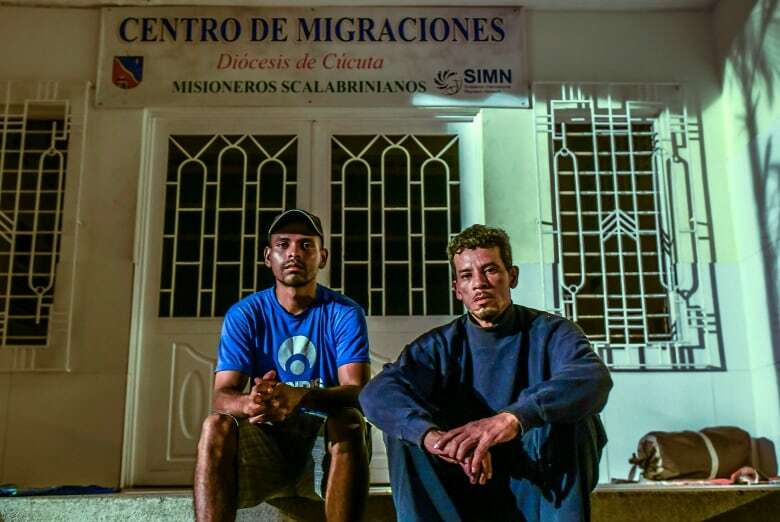 According to Colombia's immigration agency, that country alone has received nearly 900,000 asylum seekers in the past 18 months. 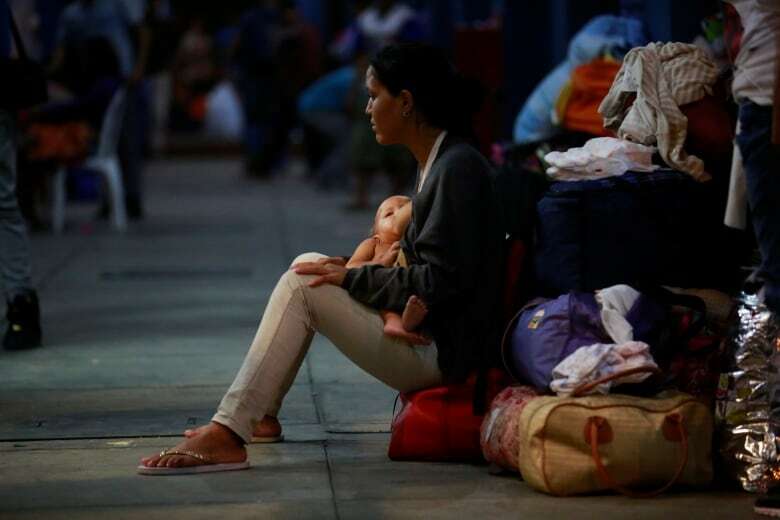 Between 700 and 800 Venezuelans are arriving in Brazil every day. Those with greater resources are escaping to Spain, the United States, and Canada. 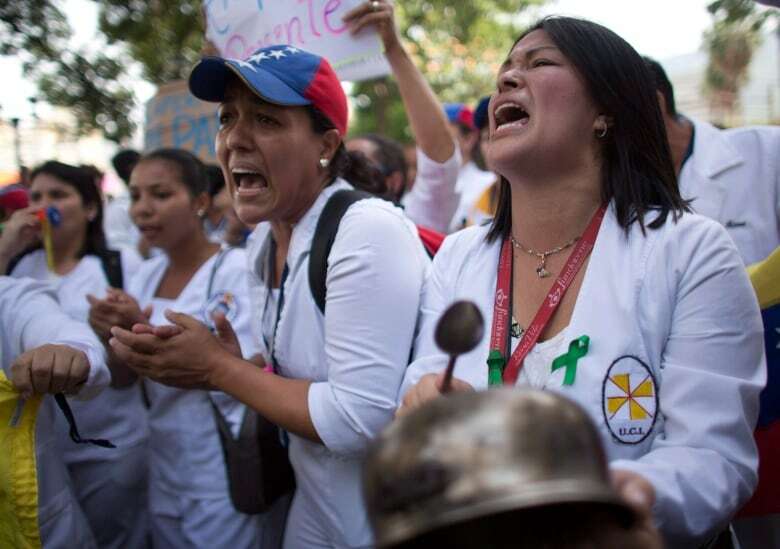 According to the Immigration and Refugee Board of Canada, there has been a spike in refugee protection claims from Venezuela in the past five years, from 31 applications in 2013 to 1,240 in 2017. There have been 588 applications so far this year. 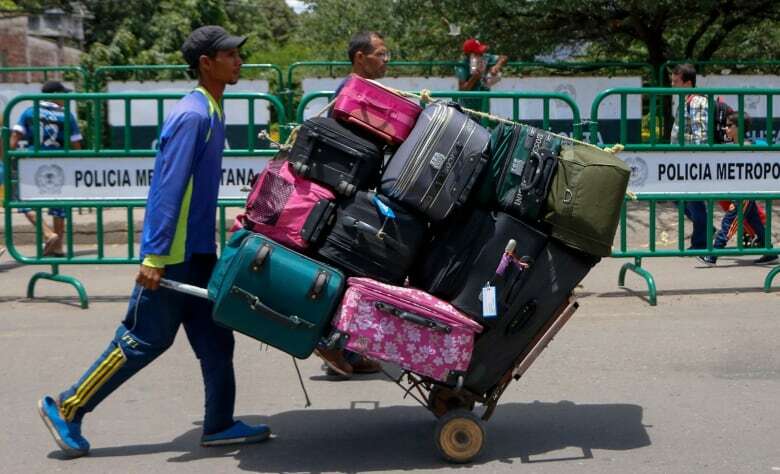 Peru, Chile, Argentina, Panama, and Ecuador are also popular destinations for Venezuelan migrants. Maduro's government blames the problems on an "economic war" waged by business owners, Colombia and the U.S. It blames "hoarding" by speculators for food shortages and has urged the population to rally to the defence of the state. 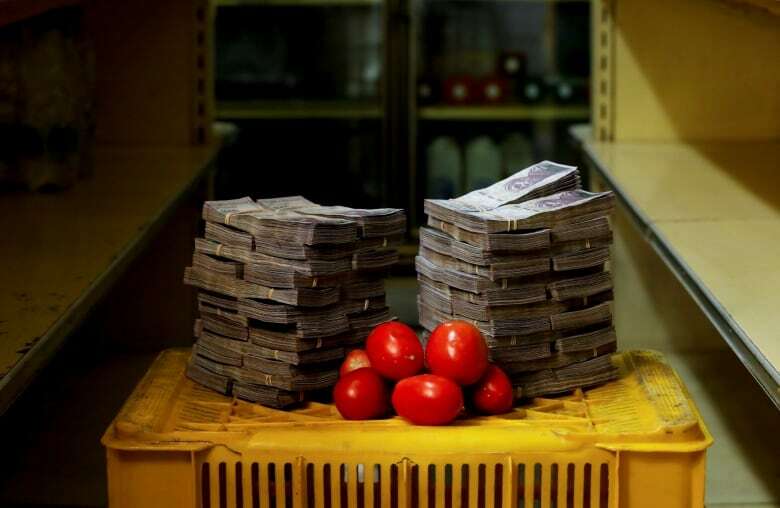 In mid-August, Maduro announced measures aimed at combating hyperinflation, including a plan to chop five zeros off the country's currency. The government is also raising the monthly minimum wage by more than 3,500 per cent. But part of what fuelled the economic crisis in the first place was inflation due to a heavily indebted government printing money ad nauseam. Critics worry the new measures will not be enough to fix the economy and some say the changes could actually exacerbate the economic crisis. 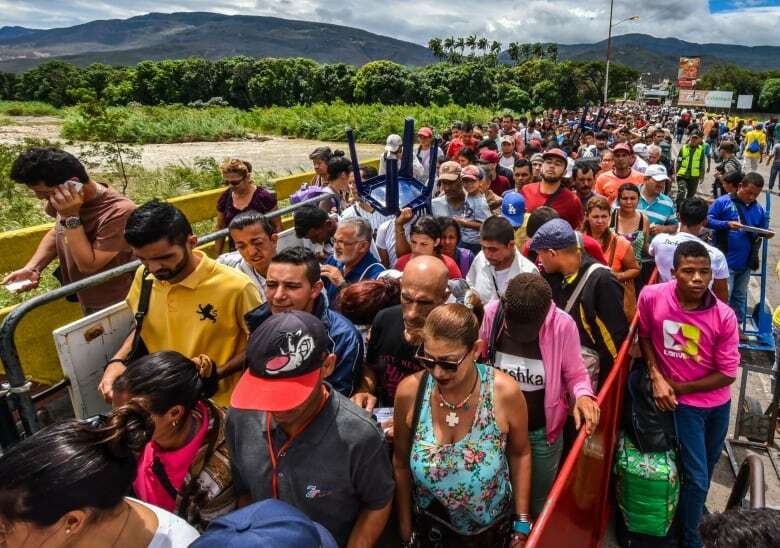 A previous version of this story mistakenly said that according to the United Nations International Organization for Migration, 2.3 million Venezuelans have fled since 2014. In fact, the UN's statistics on migration are cumulative and go back more than a decade. 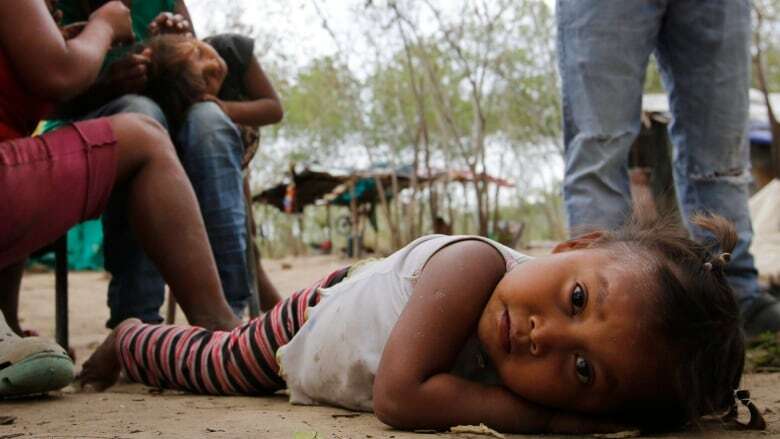 According to those statistics, more than 2.3 million Venezuelans lived outside the country as of June 2018, more than 1.6 million of whom had fled since 2015.